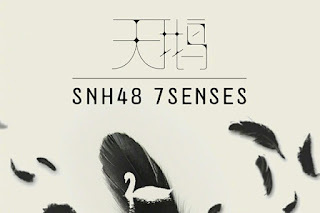 SNH48 Sub-unit 7SENSES to comeback with 3rd single "SWAN"
7SENSES sub units from SNH48 are ready to comeback with their latest single titled 'Swan (天鹅). This was revealed by SNH48 through its official account. This 7 Senses squad was forced to postpone their comeback due to injuries sustained by Akira or Zhao Yue while running a race at the idol Super Nova Games. SWAN / Tian'e (天鹅) means 'Swan' where this animal is a winter immigrant, its beautiful posture is the incarnation of the seven members. Goose is a symbol of sincere loyalty and noble elegance. This SEN7ES third single will be released this December. Music will be released online on December 11, 2018. In this third single, this unit group will have one song in Korean version.